I was finishing something else for the blog when I came across this new post on BBC News* about what gaming --particularly WoW-- meant to the disabled son of Oslo's vice-mayor of finance. 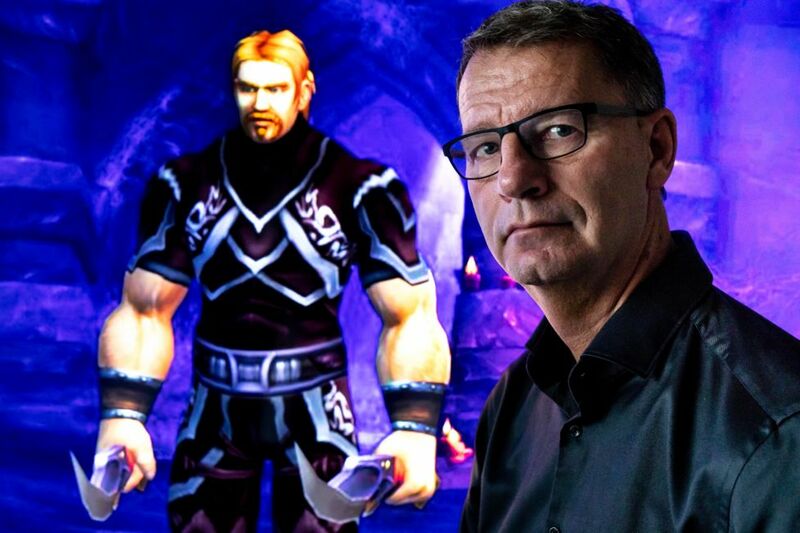 Mats Steen died in 2014, but his funeral was attended by members of his WoW guild, people whom Mats' parents had never met before. The article shares the story about how Mats fell ill, how he discovered gaming, and what the connections meant to everyone involved. toon, Ibelin. URL from the BBC article. The article was originally written in Norwegian, and if you want to read that, the link is here. I'll freely admit that I got all the feels from the article. I laughed when a guildmate of Mats', Lisette, met Mats for the first time. In Goldshire. And then there was the time Mats was in the hospital, and his guildmates grew concerned. For the most part, however, I understood Mats in a way that prior to 2009 would have been foreign to me. But I did to my fellow MMO gamers and bloggers. That sense of community, of family, is what Mats experienced. He also experienced freedom that he was unable to achieve in real life, running and jumping, and also the freedom from judgment that comes from living with a disability. Go and read the article, and grab some tissues while you're at it. And celebrate some of the best parts of gaming. *Yes, I do read news outside of the US. That's an aftereffect of being a shortwave listener and being a member of my university's Model UN Club. Model UN, for those who aren't familiar with it, is a club where we simulate a committee or the General Assembly of the UN on a particular topic. We follow the UN rules for public discussion, and each person selects (or has selected for them) a country to represent on that particular topic. You can't just fudge things (much), you actually have to research the country's position on said topic. Our club also hosted a conference for high school/secondary school students to send a "delegation" to, representing a specific country across many different committees (from the General Assembly to the World Health Organization to the Security Council). The year I was to lead one of those committees, I ran the Organization of the Islamic Cooperation, and while I wasn't expecting a very vigorous discussion, a few months before our conference was to take place Iraq invaded Kuwait. While the topics we covered were already set, the OIC managed to finish official business early enough that we were able to devote an hour or two to "the elephant in the room". **Shout out to soc.history.medieval, one of the old USENET newsgroups that I used to hang out in. ***I did meet with a fellow member of the Cincinnati Bengals newsgroup for lunch back in the Fall of 2005, the year the Bengals made the playoffs for the first time since 1991. Unfortunately, the fellow Bengals fan passed away from cancer before that playoff game, so while he was able to see the Bengals make the playoffs he wasn't able to actually witness the game itself. He was a very gregarious person, with a shock of white hair and wearing an old style Bengals jacket, but the impression he made on me ran deeper than that. He asked me if I wrote for a living, and when I told him I worked in IT, he said that I really need to start writing. "I love your posts," he said. But It's Important to ME!